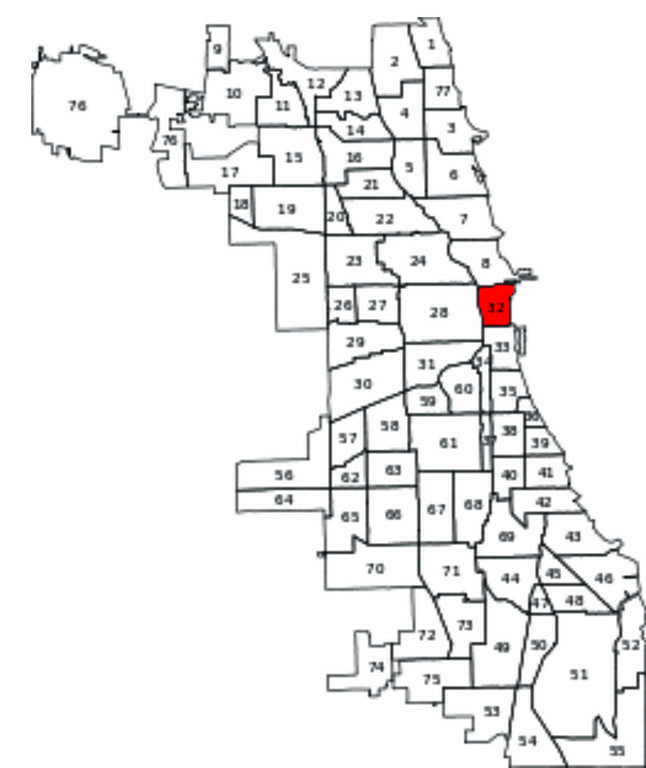 Back in the early days, the Near North neighborhood was just another unnamed, undeveloped Chicago area. That is, until Potter Palmer got his hands on it (Yes, the Palmer of Palmer House Hilton fame). He bought some land near the lakeshore in 1882 when the area was covered in ponds, grass, and greenery and built himself a cute little mansion on what would later be known as Lake Shore Drive and become one of Chicago’s most heavily-trafficked roadways. Other wealthy folks followed suit with mansions of their own and put this neighborhood in the category of elegance and luxury. Within a decade, the value of the land in this area had increased by 400 per cent, and soon some of Chicago’s wealthiest citizens--the McCormicks and the Wrigleys--were moving from Prairie Avenue to new homes "near" the center of the city. Fast-forward a hundred years, and the vibe in the Near North neighborhood has largely remained the same. 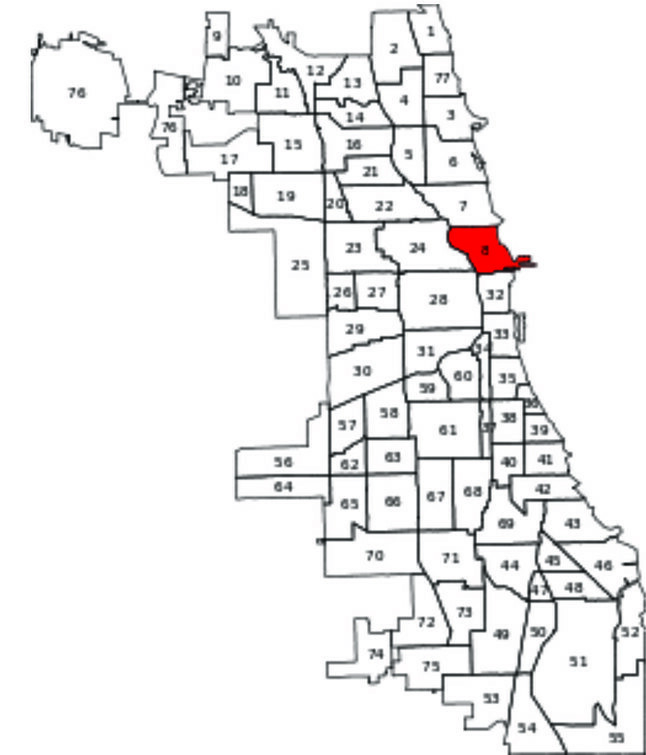 It is still home to many wealthy Chicagoans who enjoy their location right "near" the heart of the city. This area on the South Side was apparently named Bronzeville by Chicago Bee theater editor James J. Gentry because he said it reflected the skin tone of its residents. Cabrini–Green Homes was a Chicago Housing Authority (CHA) public housing project built between 1942 and 1962. At its peak, Cabrini–Green was home to 15,000 people, who lived in mid- and high-rise apartment buildings totaling 3607 units. Over the years, gang violence and neglect created terrible living conditions for the residents, and the name "Cabrini–Green" became synonymous with the problems associated with public housing in the United States. The last of the buildings in Cabrini–Green was demolished in March 2011. Frances Cabrini Row-houses were named for Saint Frances Xavier Cabrini, an Italian nun, who was the first United States citizen to be canonized by the Roman Catholic Church. William Green Homes was possibly named for a Great Society era Congressman, William J. Green. Originally called the Astor Street District; this North Side area along Lake Michigan was given the name of John Jacob Astor even though he did not actually live in Chicago. The residents desperately wanted to project an air of wealth so they used his name, and it worked. When a section of Lake Shore Drive opened in 1875, rich families immediately began building huge homes in the neighborhood. The area officially became known as The Gold Coast at the turn of the century. Goose Island is an actual island located in the North Branch of the Chicago River. It was created when William Ogden, Chicago's first mayor, built an auxiliary canal to facilitate shipping routes. The name "Goose Island" comes from a separate, smaller island in the river; but the name was soon attached to the man-made land mass when Irish squatters moved from the old island to the new one. The term comes from the abundant geese the settlers hunted. The beautiful and historic Graceland West neighborhood is named after the world famous cemetery it borders. The Magnificent Mile is a stretch of North Michigan Avenue between the Chicago River and Oak Street. Although actually about three-quarters of a mile long, the name "Magnificent Mile" has stuck. It is also the home of Chicago's famous Water Tower landmark, Water Tower Park with its historic clock, and the eight-level Water Tower Shopping Center. North of the shopping center can be found the famous John Hancock Center, the Art Deco Palmolive Building, and the lavish Drake Hotel. All this resulted in true "magnificence." This neighborhood earned its name and became closer knit during World War II when Chicago’s Civil Defense Agency formed a neighborhood defense unit. The inhabitants felt a sense of continued connection even after the War ended; and in the spirit of community, they began to sponsor annual fairs which they called the “Old Town Holiday.” In 1948 the Old Town Triangle Association was formed; and since then, the name “Old Town” has remained. Old Town is supposed to be as much a sound as a place. As the story goes, you only really live in Old Town if you can hear the bells of St. Michael's Church from your home. "Cap" George Wellington Streeter was a boat captain along the Mississippi River, and legend has it that he and his wife Ma Streeter were cruising in their boat around Lake Michigan in 1886 when they hit a sandbar. (Others maintain Streeter deliberately crashed his boat into the shoreline.) Perfectly comfortable in their precarious position, the couple decided to remain. Silt accumulated around the ship and soon a land bridge connected them to Chicago. At that time, the city was filling in the lake to build Lake Shore Drive. Aided by the liquid courage he was known to ingest liberally, Cap Streeter defended the swampy dump around his boat with a shotgun. He had multiple standoffs with authorities before finally being arrested and tried. 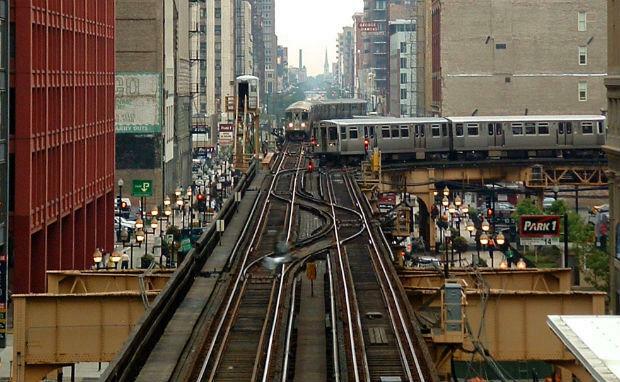 The Loop initially got its name from the looping route of streetcars that served as the transit hub of early downtown Chicago, but the name has come to be defined by the modern era's looping route of elevated train tracks that serve seven CTA lines, which ensures the continued prominence of the area as the center of Chicago's working world. Despite the gradual northwards shift in the city's center of gravity and the centrifugal force of suburbanization, all tracks lead here; and accordingly, the Loop remains the most attractive location in the city for major businesses and for most of the city's visitors. 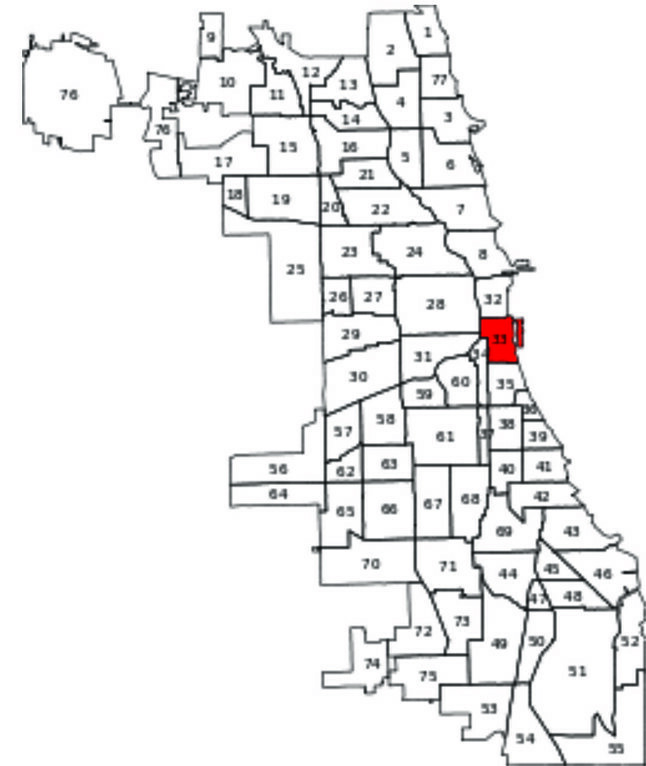 The Near Eastside was not even a part of Chicago 200 years ago. At that time it would have been in Lake Michigan. In fact, most of the land that is now the grand front lawn of Chicago, including Grant Park, was added as landfill starting in the 1800s. It may be hard to believe, but at that time, the natural waterways in and around Chicago were not respected as the valuable resource we know it today. Most often the river was used for the disposal of raw waste, and contamination of the city’s drinking water soon followed. Outbreaks of cholera and typhoid were common; and the river became a foul-smelling, polluted body of water. After the Great Fire of 1871, much of the debris and rubble from burned houses and businesses was not hauled away inland. Instead, it was pushed or carried to the lakeshore and dumped forming a landfill that has become Chicago's near eastern boundary. Starting in the late 1800s, printing and publishing houses dominated this area for a century. Most of the remaining buildings have since been converted to residential use. The South Loop was named for its relationship to the center of Chicago, but it wasn't until after the Great Chicago Fire that it became a vital neighborhood of its own. In 1883 the Donahue Building became the first printing house setting the stage for Printer’s Row. Only two years later Dearborn Station was built across the street. It quickly became the transportation hub of the city, used by all walks of life from immigrants to movie stars. Due to those buildings the South Loop became a transient and eclectic neighborhood housing manufacturing plants, saloons, brothels, and prominent mansions of the city’s elite. Conversions & New Construction Apartments Close to "Everything"
Like most neighborhoods in Chicago, the Near South Side (named for its proximity to downtown Chicago) was once a homeland for Native American tribes; but by the mid-1800s it was overtaken by settlers to the Chicago area. Most of these early residents were employed by the Illinois & Michigan Canal, and later by the lumber industry that was thriving at the time. In 1853, the city of Chicago extended its southern border to 31st Street (near south side, incorporating the settlement as a neighborhood. Formerly, Central Station was an intercity passenger terminal in downtown Chicago in the northwest corner of the neighborhood. The area is evolving according to a City of Chicago planned development led by Gerald W. Fogelson, founder and president of Fogelson Companies and co-chairman and CEO of the Central Station Development Corporation. In addition to housing the main train depot, Central Station had been a warehouse district. Recently, however, this lakefront neighborhood has experienced rapid construction of luxury townhomes, high-rise condominiums, apartments, and retail stores. Named for a United States administrator and politician, Harold L. Ickes, the housing project was constructed by the Public Works Administration between 1954 and 1955. It consisted of eleven nine-story, high-rise buildings with a total of 738 units. It was demolished between 2009 and 2010. Originally a five-building, 1677-unit public housing project erected in 1962, Prairie Shores has been adapted as a middle-class community. Along with the adjacent Lake Meadows development, this was the city's largest urban renewal project at the time of its inception in 1946. 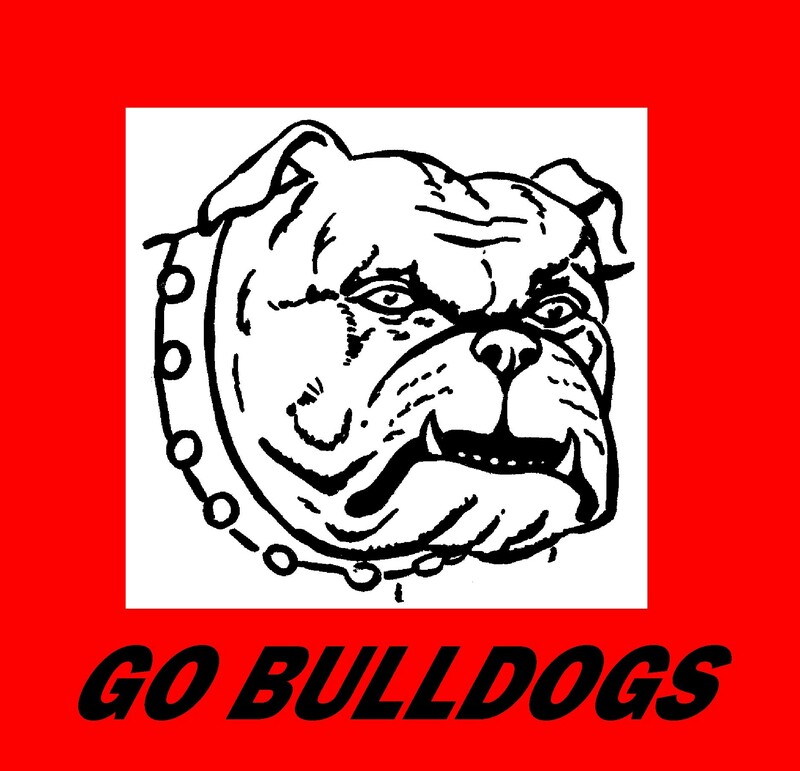 The total project included construction of the Illinois Institute of Technology and Mercy Hospital. The development was funded under the Title I of the Housing Act of 1949 for $6.2 million ($48.3 million today). Prairie Avenue once served as an Indian trail linking Fort Dearborn to Fort Wayne in Indiana and derived its name from the vast Midwestern prairie land between the two endpoints. Over time, the district has evolved from an upscale neighborhood to a factory district and back to an upscale neighborhood. During the last three decades of the 19th century, several of Chicago's most important historical figures have lived on the street. In the 1880s and 1890s, mansions for George Pullman, Marshall Field, John J. Glessner, and Philip Armour anchored a neighborhood of over ninety mansions known as "Millionaire's Row." 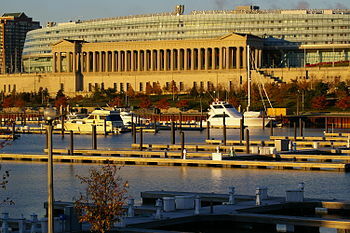 The Museum Campus opened on June 4, 1998, when the northbound lanes of Lake Shore Drive were moved west of Soldier Field following the route of the expressway's southbound lanes. By removing the roadway which bisected the area, the Museum Campus was transformed into a green space for the enjoyment of both visiting tourists and residents who can now stroll through this corner of Chicago's lakefront to each of the major attractions: the Shedd Aquarium, Field Museum, Adler Planetarium, and Soldier Field.